Did you know? 1 in 5 adults reported mental illness in 2016. 56 percent of those adults did not receive treatment1. One of the reasons why is due to the stigma associated with seeking help. EpxDepression was created to lessen that fear and make it easier to receive help. EpxDepression provides a judgement-free way of tracking your mood and is clinically-validated to ensure the best level of care. The program combines the ease of automated mobile messages with a team of accessible and supportive Harmony Care Management staff to track and support your journey to improved mental health. The Harmony Care Management team is available throughout your journey for support and outreach. They are the single point of contact to help with your care. The team includes clinicians and care managers who are trained to learn about you, not just treat you like a case. Your dedicated care manager will provide outreach when you show worsening or emergency conditions. The team is your judgement-free support system that is able to assist in managing your condition, helping you find a provider, preparing for medical visits, and more. How often will I receive communication? You will receive communication from Epharmix based on your preferred method and time of delivery. Members can receive messages twice a week or weekly. Per your needs and progress, communication frequency can be adjusted. What is your mood now? Please respond on a scale from 0 (very sad) to 10 (very happy). How often have you felt depressed, down, or hopeless? Reply 0: if not at all, 1: sometimes, 2: often, 3: nearly every day. How can I change my communication preference? You can change your communication preference (like frequency, timing, or calls versus texts) by contacting the Harmony Care Management team. Should you no longer wish to receive messages, you can text "Stop" at any time on your mobile phone or press " * " (star) on the keypad on your landline phone. How does EpxDepression monitor my condition? EpxDepression uses automated messaging to collect signs and symptoms regarding your mood scores, suicidal information, and PHQ-9 scores. Questions about your mood are tracked up to 3 times a week and questions about depressive symptoms (using the PHQ-9) are tracked up to twice a month. A 0 to 1 on a mood question triggers another question about suicidality. A “yes” to this question, or to question 9 of the PHQ-9, alerts your care manager and redirects you to a crisis call center. A mood of 2 to 3 triggers another question to connect to a caring crisis volunteer. The intervention monitors long-term health to provide you with an objective way of tracking your progress and allows your care manager to offer resources based on the type of care appropriate for your level of need. What level of engagement is required? Engagement is simple and convenient. You can opt to receive questions from a landline or mobile phone, meaning you may receive an automated call or text message of the question. You can also schedule when you’d like to receive the communication, even if that’s after your day is ending. Engagement is important in driving successful outcomes. A previous study found a 28% decrease in overall PHQ-9 scores. It also found 63% of patients lowered their PHQ-9 scores. Once enrolled, how long am I in the program for? In a past study, engagement rate averaged 68% over a year. What are other users of EpxDepression saying? "I like knowing that I have support when I feel my lowest. I love this service! 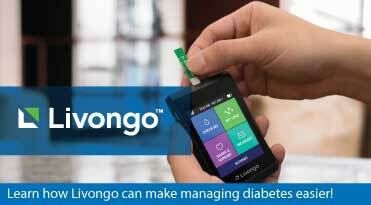 It helps me keep track of my moods and to better communicate between my doctor and me." "It feels non-judgmental, it gives me confidence, and makes me feel like I have a partner in getting out of this hole." "I appreciate the encouragement and the check ins. It’s kind of like a mindfulness reminder to just check in with my emotions, which I avoid during my day due to trauma. In all reality I need to be checking in with these feelings more often so I can catch the spiral of negativity." "It’s comforting to know that someone cares and that help is immediately available at the other end if I need it." "I like the fact when it texts me I have a chance to reflect how my mood actually is it gives me time to think about it and be able to respond truthfully"
"I think you guys are great, you’ve made it easy for me to find help that I need and you guys are always available if I need to talk. Thanks"